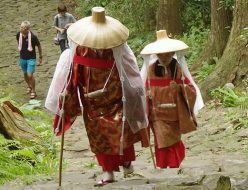 The world heritage site “Kumano Kodo” the pilgrimage trails lead to holy Kumano Sanzan(three major shrines of Kumano – Hongu-taisha, Nachi-taisha, Hayatama-taisha) and trails also link to Koyasan, Yoshino and Ise. Kumano is name of region in southern Kii peninsula, spans Wakayama-pre, Mie-pre and Nara-pre. Kodo means Old trail. Kumano Kodo is part of UNESCO World Heritage “Sacred sites and Pilgrimage route in the Kii Mountain range” designated in 2004. This is one of two pilgrimage route in the world designated as a UNESCO World heritage. The other is Camino de Santiago de Compostela (The way of St.James pilgrimage) in Spain registered as a UNESCO World heritage in 1993. There are 5 main pilgrimage routes as below. 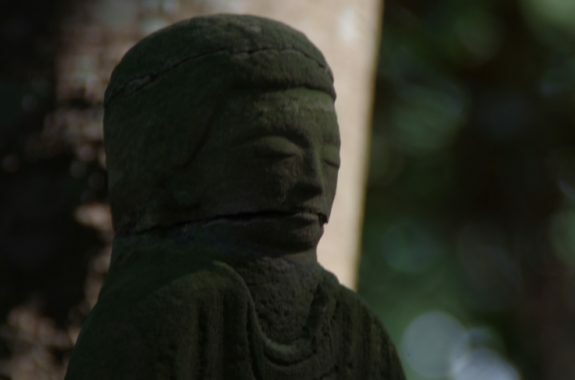 5.Omine-okugakedo – This route is for Shugendo training trail between Yoshino and Kumano Hongu-taisha via Mt.Omine. Distance is over 100km through high mountain ridges, hardest, longest and most dangerous trail and some part of area is still prohibited to women.